This key text offers a comprehensive introduction and synthesis of the major themes and theories in language learning and teaching today, to provide an up-to-date authoritative review of traditional and contemporary issues in language teaching. The debates presented will encourage trainee, induction-year and early-career teachers to consider and reflect on issues relevant to language education in order to reach their own informed judgements and situate their professional work within a broader context. 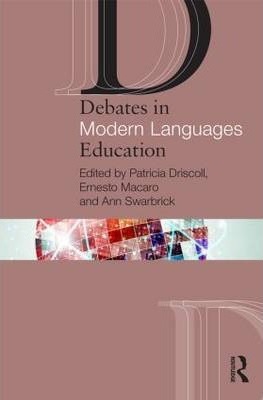 current debates in the subject and how the languages discourse has changed over time; the importance of substantive and syntactic knowledge for effective teaching; and how novice teachers develop their subject and pedagogic knowledge and skill to become expert practitioners. current understanding of how learners learn different aspects of the subject and approaches to teaching with reference to relevant theories, complex constructs, and empirical research." "
the aims and rationale, values and philosophical principles inherent in the subject, and the innovations and ideas that shape and will shape the discipline for the next decade. Each chapter is supported by reference to further reading and other material to encourage deeper exploration any of the issues, while reflective questions at the end of each chapter will help the reader to engage in the debates presented. This book will be a valuable resource for any student or practising teacher engaged in initial teacher training, continuing professional development and Masters level study.